January 21, 2019. Ron (Ronny) was born near Greeneville, Tennessee in an area affectionately known as Stomper. He was one of three sons born to Orgil and Evelyn (Sturgill) Gass on June 26, 1944. Ronny attended school in Cross Anchor and Baileyton, Tennessee. He graduated in 1961. Ron joined the Air Force for a brief stint after high school. 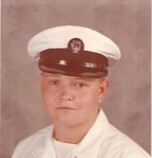 While stationed in Tucson, AZ he met and married Patricia Kifer. After the birth of their daughter, Lisa, the couple returned to Tennessee and then, moved to Lamar, Colorado in 1965. In 1991, Ron and Pat moved to Fort Collins, Colorado where they remained until Pat’s death in 2011. Ron joined his daughter Lisa (Bruce) Fuller in Troy in 2014 until his death. Ron was a master plumber by trade and a successful business owner for the better part of forty years. Everyone who met Ron was immediately struck by his kind and gentle spirit, his generosity in all things, his open acceptance of everyone regardless of their circumstances. Ron was always cheerful, liked to kid around and enjoyed the company of many friends. He enjoyed vacationing in warm climates and liked to play video keno in his declining years. He is greatly missed by all who knew him. Ron was a warm and caring father, husband, and friend. Ron was preceded in death by his father, Orgil Gass and his wife, Patricia Kifer Gass. He is survived by his mother, Evelyn (Carl) Sturgill Gass Bodey of Holly, Colorado; his brother Richard of Knoxville, Tennessee; his brother David (Diane) Gass of Lamar, Colorado; his daughter Lisa (Bruce) Fuller of Troy, Montana; niece Amanda (Grant) Wiser of Kirk, Colorado; nephew Jason (Erica) Gass of Lamar, Colorado; nephew Richie Gass of Knoxville, Tennessee; lifelong friends Jerry (Cordelia) Dunn of Baileyton, Tennessee; and numerous friends. Arrangements are by Schnackenberg Funeral Home in Libby. Online condolences and memories may be shared at www.schnackenbergfh.com. Nancy Ann Elverud Sagen passed away December 26, 2018 in Mesa, Arizona. She was born in Jordan, Mont. on January 7, 1940 to Edward Elverud and Julia Alice Irene Wheeler Elverud. She was raised in Pablo, Mont. She married Kenneth Sagen in June of 1958. They then moved to Libby, Mont. Where they had 4 children. 1 died at birth and the others 3 were raised in Libby. Nancy was a school bus driver for 35 years. She had the same route 10 the entire time but would occasionally sub on route 6. 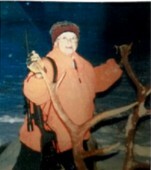 She also loved the outdoors, camping, fishing, and hunting. She also loved gardening, gathering mushrooms, and picking berries. Most of all she loved being with family and friends, playing cards and telling stories. After the passing of her husband of 45 years in 2003 she spent time with her children, grandchildren, and great-grandchildren. In November of 2005 she moved to Thompson Falls, Mont. To be with be with a long time family friend, Laurence Molzhon. Laurence and Nancy were together until his passing in January 2018. Nancy was procedded in death by her parents, 2 brothers, 4 sisters, husband Kenneth Sagen, an infant daughter and her companion Laurence Molzhon. She is survived by her children Kenneth Sagen Jr., his family, Julia and family, and Tyrena Sagen and family. 8 grandchildren, 7 great-grandchildren, 3 sisters, Maxine Perry of Minnesota, Veta Tainan Alice and sisters-in-law Helena Sutton all of Mont. She is also survived by her companion, Laurence Molzhons children. Pete and family, Sam and family, Laura and family, Brian and family, Cindy and family, Dave and family. Special nieces; Luella and family, Dixie and family. Nephew; Larry and family. Many more nieces, nephews, grandchildren, great-great grandchildren and friends. She was loved by many and will be greatly missed. There will be a get together at a later date. Born in Libby on October 23, 1956, Wayne was raised in Troy. He went to Troy schools from kindergarten through graduation and then entered the Navy. He spent 4 years sailing the Western Pacific and made many lifelong friends. Wayne married his soulmate, Teresa, in 1976 and they raised two amazing daughters. He spent time in California, the Great Lakes, Hawaii, Alaska, Washington, Arizona and Montana but Troy was always home. 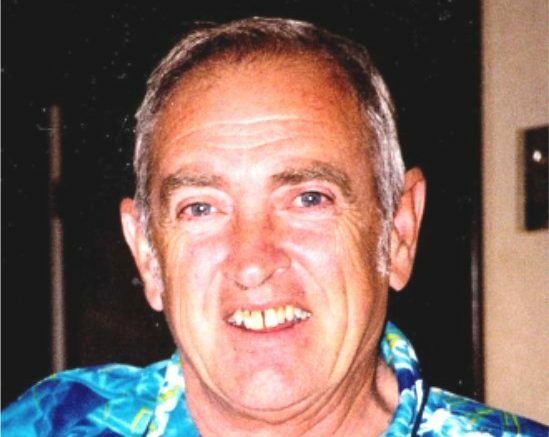 He was a hard rock miner, a logger and a motorcycle mechanic. He had a passion for music and loved to dance. He was a cowboy like his father as a young man, breaking horses and riding in o-mok-sees around the country. After a career as a miner, Wayne trained as a motorcycle mechanic and ran a successful business in Troy. He loved spending time with his grandchildren and teaching them about old music, westerns and life. Wayne was a kind, generous, loving man and a friend to everyone. He never met a stranger. He was preceded in death by his mother Muriel, father Ted, sister Valinda, half-brother Teddy, and grand daughter, Rachel. He is survived by his beloved wife, Teresa, daughters Chera (Philip) Cole, Bobi Jo (Dustin) Grimes, sister Yvonne (Richard) Leader, half brother David Fisher, half sister Denise (Marvin) Speck, grandchildren Ashley, Derek, Shelby, Andrew & Connor, numerous aunts, uncles, cousins, nieces, nephews and many dear friends. He will be greatly missed.